There are some things in life that are more enjoyable when done with a partner than on your own. One of the perfect examples of this is kayaking! Whether with a friend, family, or your significant others, tandem kayaking is fun! When you paddle together, you will find it easy to move because there are two people who are exerting force. The collaborative effort can deliver the benefit of efficiency. If you are wondering what to choose for the best tandem kayak, keep on reading as we round up some of the best options currently available on the market. We have spent hours of research to give you a definitive list to come up with a decision you won’t regret. Paddle in pair and with confidence using the tandem kayaks that are briefly mentioned below. We’ll also look at their pros and cons to make it easier for you to weigh the possibilities. 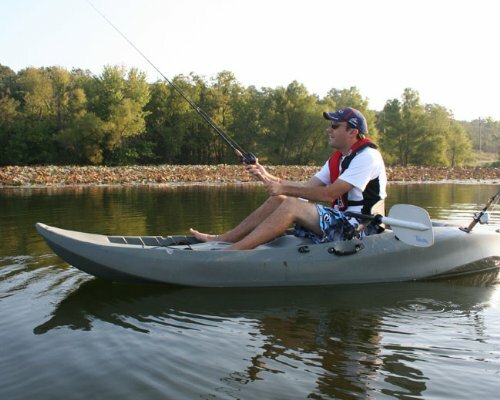 If you love fishing with a partner, this kayak can prove to be an excellent investment. 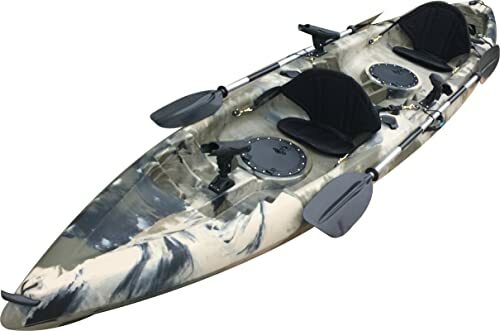 At its price, it is a good thing that it is bundled with the accessories that you will need, such as paddles, backrests, storage hatch, and fishing pole holders. Your comfort is not a thing that you have to worry about. It can comfortably seat two people at a time, making sure that there is enough space for everyone. This is unlike other cheaper kayaks that can be too cramped. To make it even more comfortable, there are multiple positions for the footrests, allowing it to accommodate users of different sizes. In terms of its construction, the kayak is also impressive. High-density polyethylene is the main material that is used, which allows it to withstand the wear and tear. This material is also good as it has a high weight capacity, which is 500 pounds. The five-year warranty that is offered by the manufacturer is also notable, which should be more than enough to provide you with peace of mind. This tandem kayak is made of high-density polyethylene and has a maximum weight capacity of 500 pounds. For value for money, there are also paddles that are included since it is built specifically for fishing. Even with a maximum weight capacity of 425 pounds, one of the best things about this product is its minimal weight. It is only approximately 57 pounds, which means that it won’t be too much of a burden to bring with you in your kayaking destination. For versatility, it is also a good thing that it allows three seating positions. Whether you are kayaking on your own or with a partner, the seats can be easily adjusted as needed. The design of the hull and the deck is also great, which allows you to stack one on the top of the other, allowing it to be space-efficient when it comes to the required storage space. The Tri-Form hull has also impressed many people when it comes to the kayak’s maneuverability and stability amidst the external conditions. To add, it is also worth noting that it has Comfort Plus seats. Even if it is not excessively large for two people, it is designed in such a way that your feet and back can properly rest for the highest level of comfort. This recreational kayak is lightweight but has an exceptional weight capacity. It is designed in such a way that it can be easily stacked atop another kayak for space-efficiency. 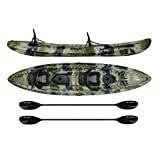 This is another tandem kayak that can provide the best bang to buck considering the inclusions in the package. Aside from the kayak itself, you will also receive paddles and seats, so you do not have to purchase them separately. Another thing that makes this a well-loved product is the generous onboard storage that is available, providing an assurance that you can bring with you the essentials. For instance, there are seven holders for your fishing rods. There are two rests for your paddles. It also has a waterproof hatchet where you can safely store your mobile phone, cash, or keys. There is also a rear cargo area. In terms of dimensions, the total length of the kayak is 12 feet and five inches. The weight, on the other hand, is 68 pounds. There is also a 34-inch beam. On the other hand, the maximum load capacity is 440 pounds. Weighing 68 pounds, this tandem kayak can sit two people comfortably with a combined weight of 440 pounds, including the gears. It has plenty of spaces for everything you need to bring with you, including convenient rear storage. If you are looking for a kayak that comes with a generous capacity, this is one option that should be on the top of the list as it can hold a maximum weight of 500 pounds. This, however, can also be a bad thing since this means that it is quite heavy, which can be an issue if you are after portability. With a total length of 12 feet, it is long enough to put two people comfortably while still having enough space for your gears. There are two hatches that are sealed for things that you need to be protected from water. There is also a cup holder that is strategically positioned. Meanwhile, it has a cargo area at the back with straps to keep your gear secure. To make it easy to transport the kayak despite the fact that it is quite heavy, it was designed with four handles for effortless lifting, especially when pulling it out of the water. For your comfort, it should also be noted that it is packaged with deluxe seats. It can also be adjusted in different positions depending on what you are most comfortable with. This kayak has a maximum weight capacity of 500 pounds, which also makes it quite heavy compared to its counterparts. It has deluxe seats to deliver better comfort and has several options for storage to keep your gear secure while you kayak. One of the best things about this tandem kayak is its modular construction, which is also the reason why it is great when it comes to portability. It can be broken down into three pieces, allowing you to easily bring it to your kayaking trip. Despite the modular design, there is no need to worry about the assembly. Connecting the parts will be a piece of cake. For the technical specifications, once fully assembled, the length of this kayak is 12 feet and 9 inches. The width, meanwhile, is 24.2 inches and the maximum capacity is 440 pounds. However, because of the modularity of this model, the stability can be a problem. With this, as the manufacturer recommends, it is best to use it only on rivers and lakes. When the water is already aggressive, it may end up being unstable. Lastly, the kayak is constructed using high-performance thermoplastic, which has been praised by many for its durability. With the high-performance thermoplastic construction, this is a long-lasting kayak that is best suited for flat and calm water. The best thing about this kayak is its modular design, which makes it portable. 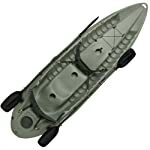 Sit-in Kayak: Also known as sit-inside kayak, this is an excellent pick if you do not want your lower body to get wet. The backrest and the cockpits are lower. They also tend to be faster to paddle. However, mobility can be a problem and you might have difficulty getting in and out. Sit-on-Top Kayak: In contrast, you have to sit on the top of the kayak, allowing you to easily get on and off. It is known for being user-friendly, which makes it a popular choice even for kids. Modular Kayak: This is excellent in terms of portability. Often, it exists in three different pieces and are connected together when it is ready to be used. This, however, may not be as stable as those with a one-piece design. Inflatable Kayak: It wins when it comes to portability when deflated, it will take minimal space. However, especially the cheap ones, it may not be as durable and as stable as the kayak types that have been previously mentioned. Touring Kayak: This is the best option for the pros who are serious about kayaking. They are usually expensive, but the price will be worth it. It is designed specifically for paddling on open waters. It is not easy to maneuver but it can cruise at high speed and usually has an impressive cargo capacity. Portability: For the kayak to be portable, one of the most important is that it is lightweight without compromising the quality. To add, there should also be at least four handles that will make it easy to carry the kayak. Durability: You also have to consider the materials that are used, making sure that they won’t easily crack, dent, or be subjected to any form of damage that can sacrifice your safety on the water. The most popular material that is used in tandem kayaks is polyethylene, which is also affordable. If quality is your main concern, look for those made of composite. Storage: Especially if you intend to use the tandem kayak for fishing, choose one that comes with the space that you will need for your gear, including your fishing rods and a cooler to keep your fresh catch. Stability: Regardless of whether you are paddling in a river, lake, or sea, among others, the kayak should be stable enough. This should be the case regardless of the weather conditions. Otherwise, you will end up being unsafe. Hull Shape: Flat hulls are perhaps the most common, which are known for being stable when you are in calm waters. There are also some with rounded and V-shaped hulls. Comfort: There are many factors that will have an impact on your comfort. For instance, it will be good to have wide seats that come with comfortable backrests. A footrest will also be nice, as well as ample space for the legs to move when you are seated. 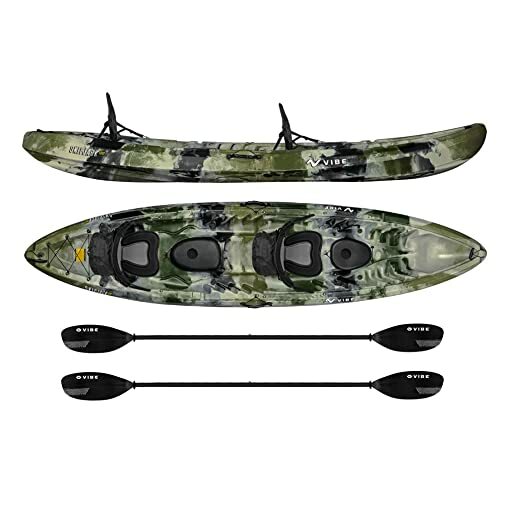 Accessories: For the best bang for the buck, buy a tandem kayak that is bundled with several accessories that you might need, including paddles, fishing rods, and removable seats. It will be more fun to head out to the water with a friend and paddle together. For your comfort and safety, be sure to invest in one of the best tandem kayaks that have been mentioned above. It provides more communal experience without sacrificing the fun!